Adorable tassel charm made of dark chocolate brown genuine leather, decorated with vintage trim and glass beads. Hand-cut fringed accessory for your handbag/purse/tote/luggage. 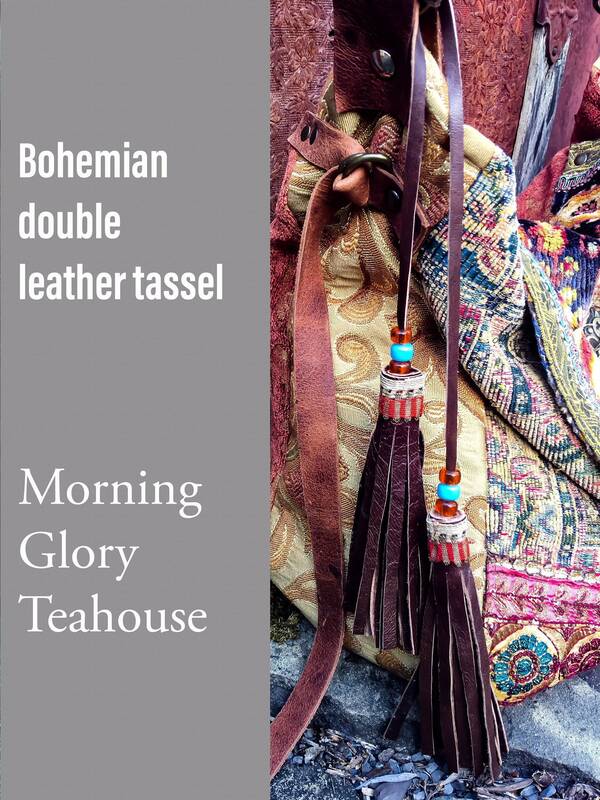 Includes 2 handmade leather tassels. Total bag charm length, including tassels, measures approx. 31.5" long. Each leather tassel measures approx. 4.5" - 5" long. 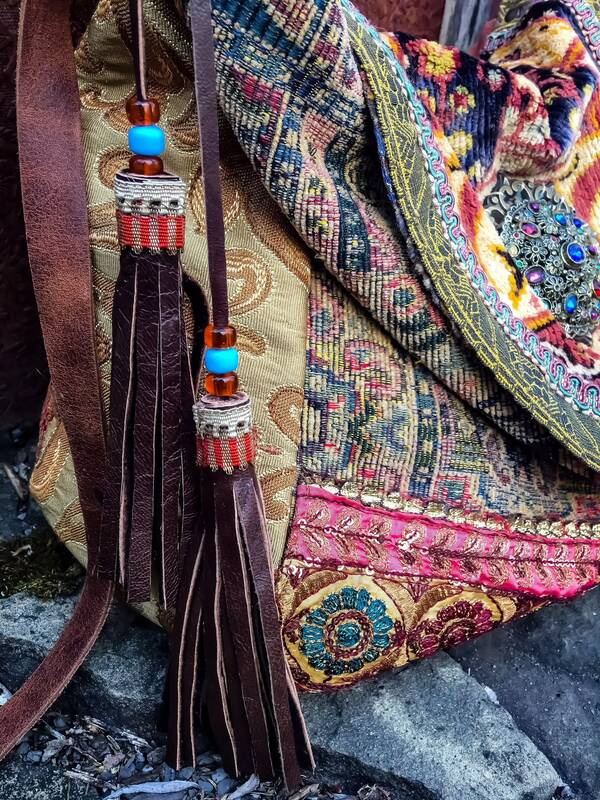 Ties around shoulder strap or hangs from metal hardware to decorate your bag! 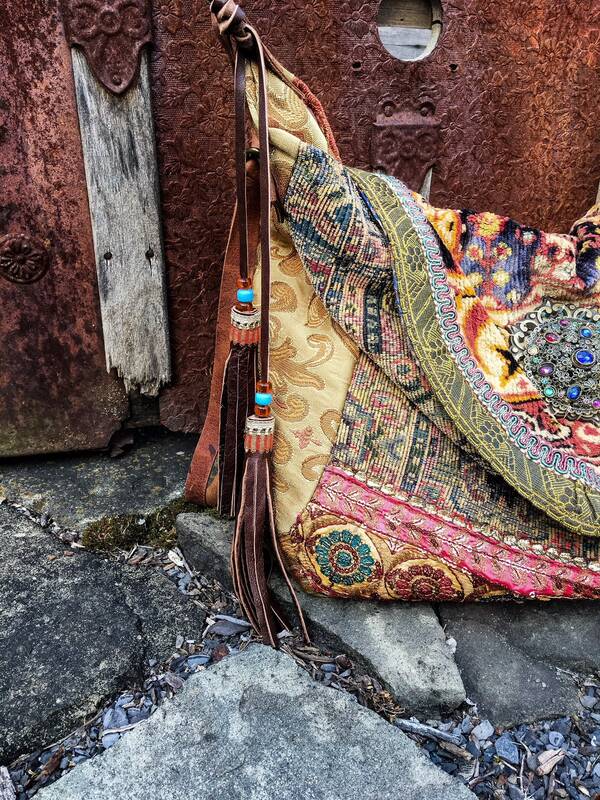 You will receive the tassel bag charm pictured. Please note - Bohemian shoulder bag displayed in photos is not included in this listing, but is available for sale in our shop. Please contact us if you're interested in creating a custom order for your own original bag. 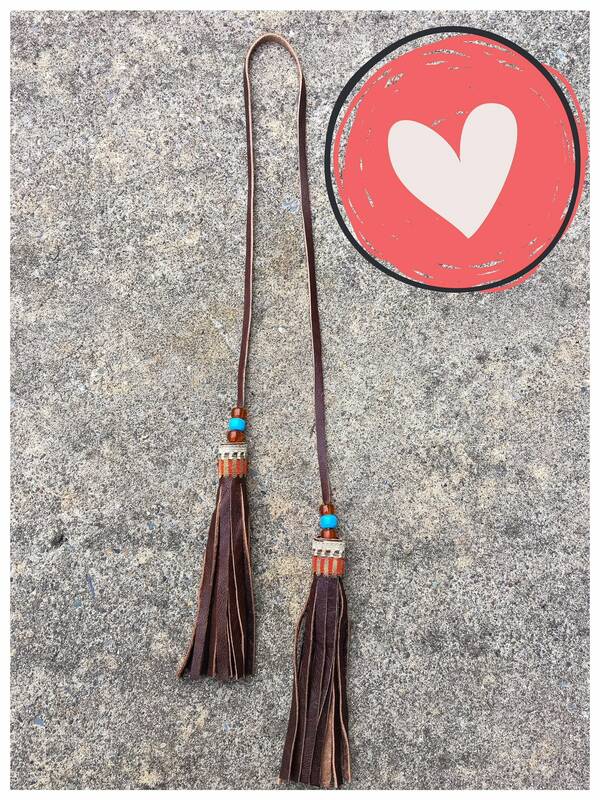 Each handmade leather tassel is one of a kind with lots of Bohemian charm! Made in a smoke-free workshop. Please read our shop policies before purchasing. We no longer offer refunds for returns, only exchanges or store credit within 7 days of purchase.